What do girls look for in a diamond engagement ring? Well, that all depends on the girl! There are some girls who want it all, a large sparkly diamond, with exceptional cut and clarity that is internally flawless. These are the type of girls that know a superior diamond, and can spot an inferior quality a mile away. Large diamonds that have the highest grade of flawlessness of course are the most expensive. So how do you please your future fiancé if she is this type of girl? Well first, be realistic about your budget. If the sky is the limit, then buy the best diamond that money can buy! Unfortunately, most people are not so lucky, and for those who do have a budget, it is better to sacrifice the size of the diamond for the quality of the diamond. Also, it is important to note that certain diamond shapes are more expensive than others. If you are trying to buy a large diamond with exceptional quality, than choose a princess, cushion or any other shape that is not a round. The round shape diamond tends be more expensive than the other shapes because of the way its cut and how it refracts light from the diamond. If you take a 1-carat round shape diamond and a 1-carat princess shape diamond, the round shape diamond will be more expensive. 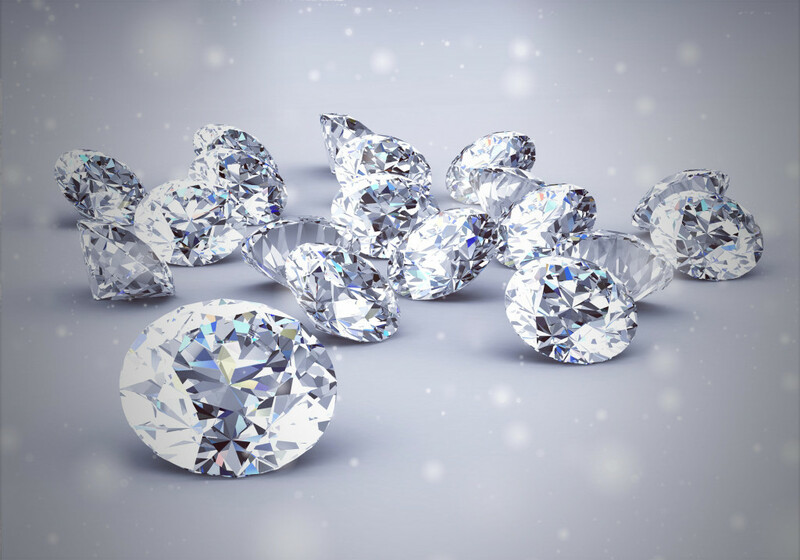 If you would like to compare diamonds or diamond prices, take a look at www.diamondhedge.com, you can compare diamonds from all the top diamond companies on one site. Other girls want the flash; a large diamond ring, doesn’t matter if the diamond is not flawless, for them, the bigger the better! In this situation, it is better to base the diamond size on what your budget is, and forgo a high clarity grade for the diamond. Though be warned, if you choose a diamond below SI2 clarity grade, it is easier to see blemishes within the diamond with the naked eye, and the diamond itself may not sparkle as much. Find the balance between the largest size you can afford with the best clarity grade within your budget. Then you have the girls that don’t know what they want, and quiet honestly will appreciate any engagement ring as long it was chosen out of a place of love. Finding the perfect diamond engagement ring for these types of girls might be the easiest and the hardest at the same time. Use your budget as your guide and follow your instincts. A great website to use in this instance is diamondhedge.com. This diamond price comparison site provides a useful tutorial on the 4 “Cs” of diamonds, cut, clarity, carat, and color. It’s also a great resource to find the best price based on the 4 “Cs” and to compare several jewelry sites at once to find the perfect diamond.